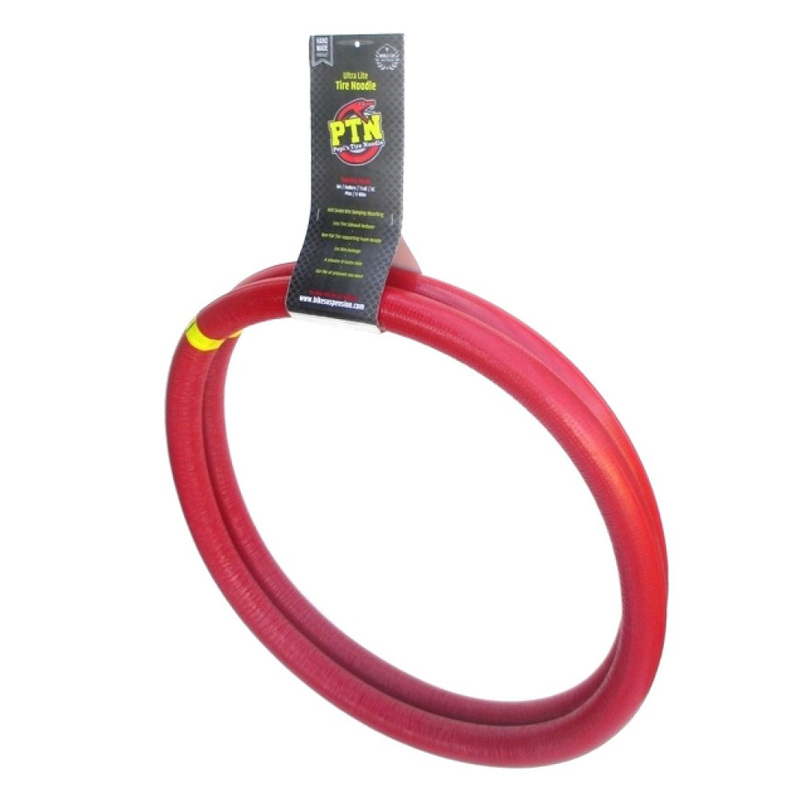 The PTN Pepi’s Tire Noodle was originally created and developed for the needs of World Cup downhill mountain bike racers but this insert benefits all. This insert is suitable for use in a tubeless MTB tyre. Simply install one side of the tyre bead, then the PTN, use the supplied PTN valves, mount the second bead, pour your favourite tyre sealant in and finish mounting the bead. Inflate as normal but expect to drop your pressures a bit - this is the key feature of the insert. It is recommended that you use an artificial latex based sealant with this insert like Maxalami MaXSeal.